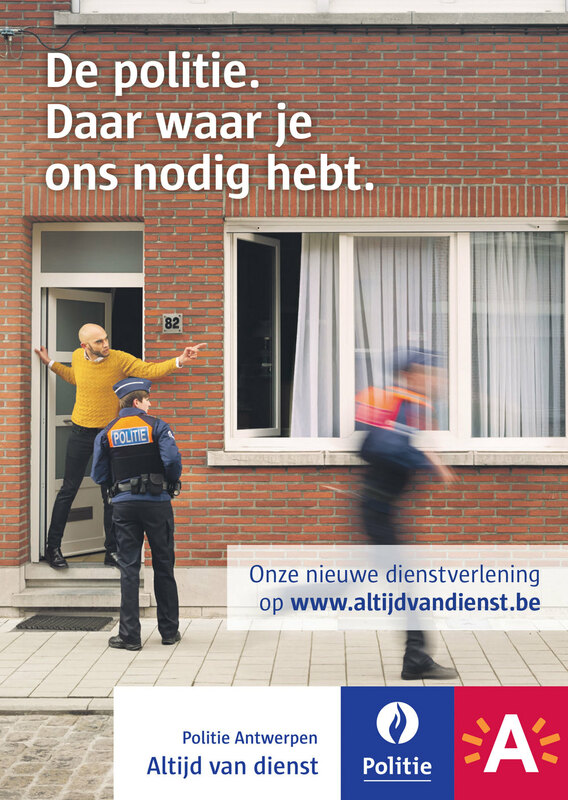 The Antwerp police force launches its renewed services. As from 1 May they are closing some of their offices, at the same time increasing the number of officers in the streets of Antwerp. This allows the police officers to spend their time and efforts where it matters most, devoted to the people of Antwerp. 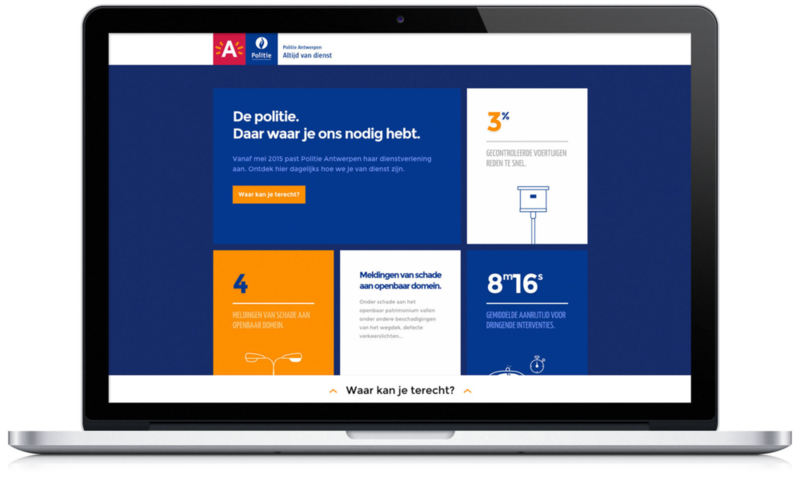 The brand new website altijdvandienst.be contains detailed information about the new services but also makes the day to day activities of the police force tangible for the people they serve. Every single day the people of Antwerp can visit the website and see e.g. how many police patrols were on the road or how many calls the police call center received the day before. 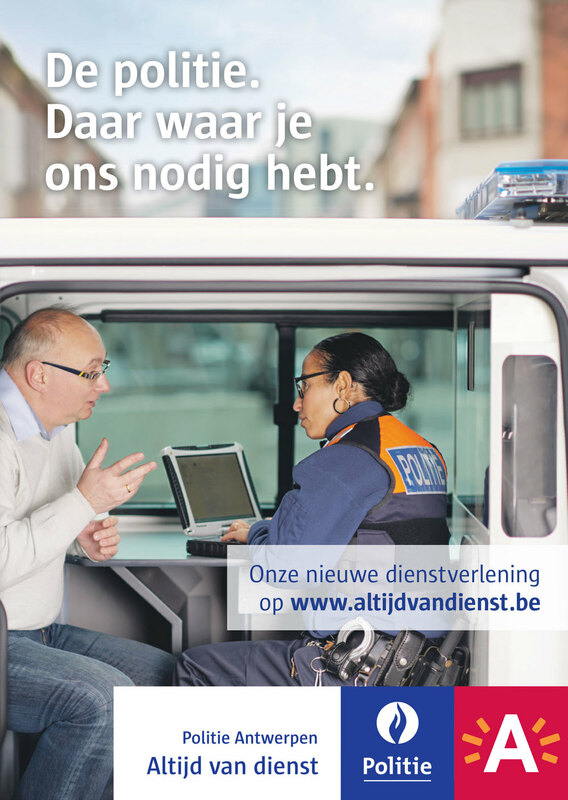 To achieve this we collaborated with the Data Center of the Antwerp police force and set up an automated process to transfer and display the necessary data on a daily base.